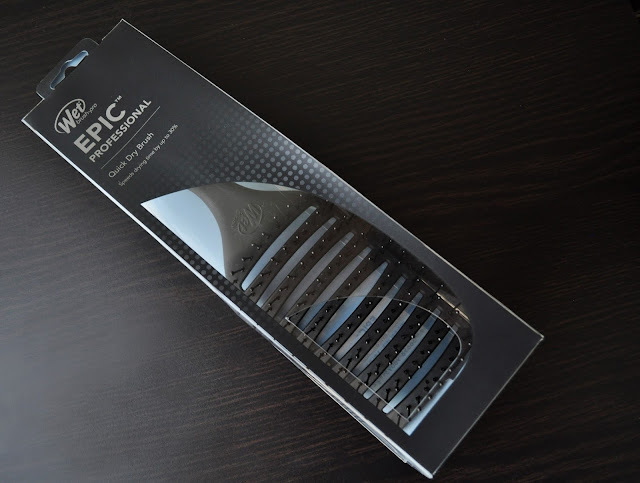 I'm probably the last one to this party regarding this find, but I discovered the Wet Brush-Pro Epic Professional Quick Dry Brush during my last visit to my hairdresser; she used it to comb through my wet hair. Part of the Epic Line (an acronym for the line's key attributes: Elite. Professional. Inspired. Creative), is meant to innovative in, both, appearance and performance. 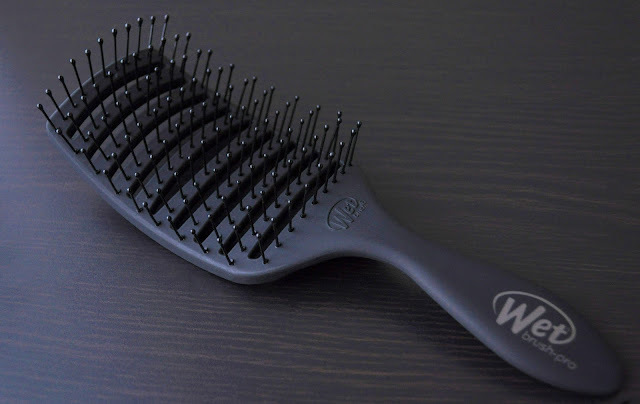 Remarkably light-weight (yet, very sturdy), the brush's rubberized finish enhances the comfortability of the handle's grip. No tired wrists or strained thumbs here! 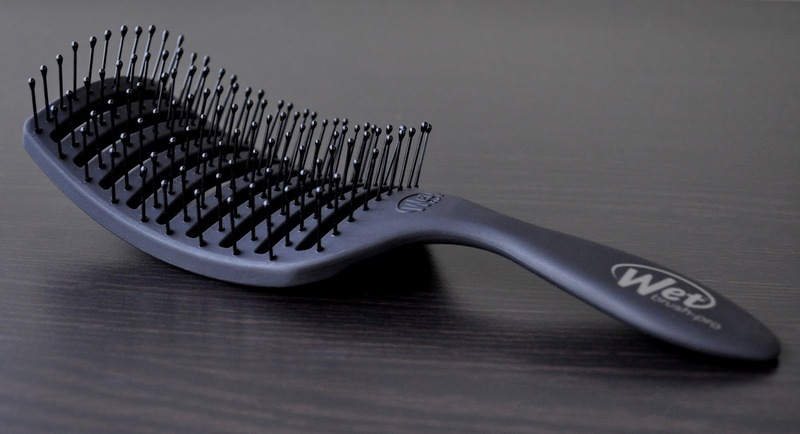 With bristles that can withstand heat up to 450°F, the Quick Dry Brush is primarily meant for blow outs. However, I use it to detangle my wet hair. The long, thin, firm, yet flexible IntelliFlex bristles detangles my hair in a single, effortless stroke. I'm not exaggerating; not a single tug, pull, rip or tear. In the past, I would lose several hairs when I'd brush my wet hair. But, with the Quick Dry Brush, the maximum hairs I found on the brush have been two. 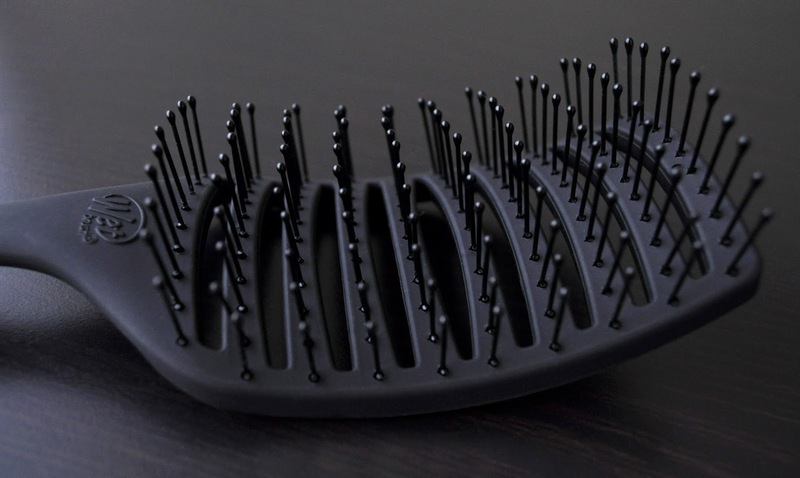 Being that hair is more susceptible to breakage when wet, that's a major plus. 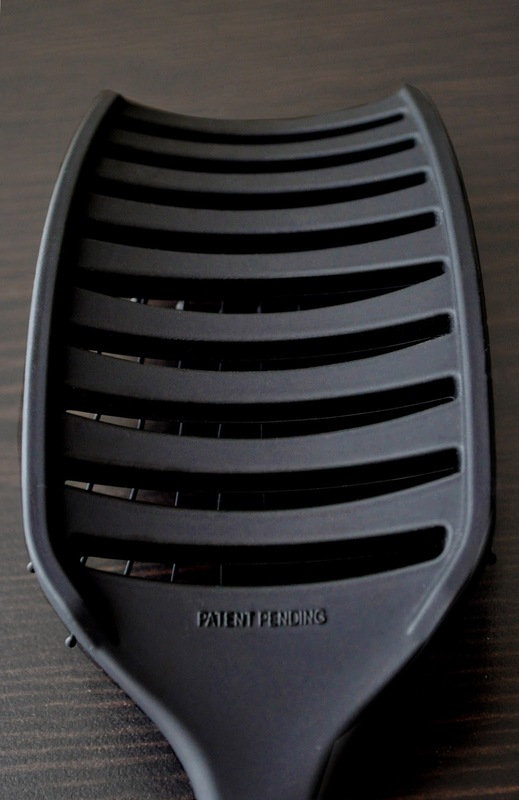 By creating a more direct passage of hot air to your hair, the wide horizontal vent design is suppose to speed up drying time up to 30%. I think this would work best for straight haired ladies, whose hair doesn't require much pull. But, maybe one day I'll put this claim to the test. I really love the curved shape of the brush, and how it hugs my cranium. 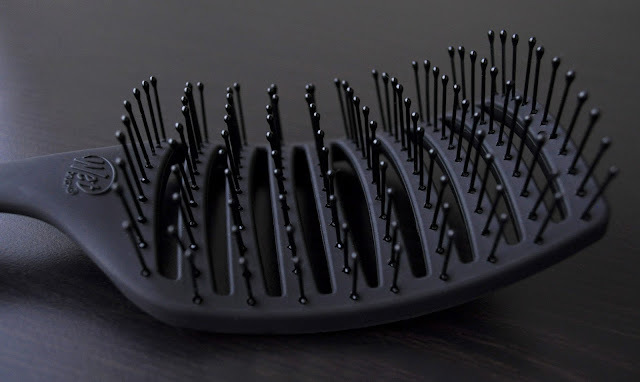 The bristles feel great on my scalp, as if I'm getting a mini message. My hair is thick and plentiful. I dye, and heat style it A LOT, and I'm always looking for tools and products to keep my hair in primo condition. The Wet Brush-Pro Epic Professional Quick Dry is the best brush I've found to use on wet hair. I sound like an infomercial, but I think this brush is made by unicorns; it's that magical. I like the brush so much, not only did I buy a backup (purchased both times via Rakuten for 1,890 yen), I got another one to include in my annual August giveaway. If you use this brush, I'd like to know what you think of it.